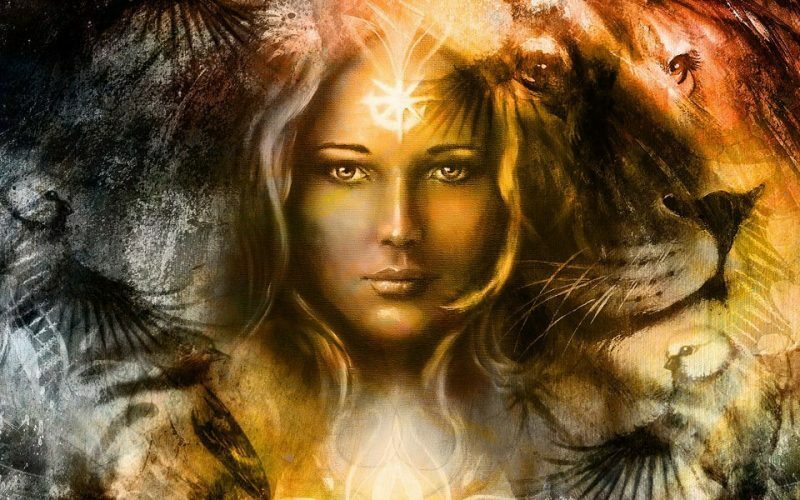 7-Ways Animals Power Up Your Feminine Intuition! As a woman would you agree with me that you are soulfully awesome and exude unending creativity, confidence, beauty and wisdom? Would you also agree that you share an innate gift to be deeply and profoundly connected to the world around you via your intuition? Yet, knowing and experiencing all of this wonderment of your feminine power do you find there are still times when you completely forget how to tap into your feminine nature and get yourself into trouble? Or feel totally alone and maybe even hopeless with your situation? Here is the thing…I know exactly what you are feeling and I have been there! Yet, what if I told you that you can experience a very profound engagement of your feminine power just by trusting and engaging with the opinions and guidance of the animals around you. Sounds intriguing doesn’t it? It is true and I am so excited to share with you how animals can change your life through learning about the Sacred Soul Promises that you have with them. All the animals in your life whether in your home or in the wild are here to help you upgrade your feminine power through these extraordinary Sacred Soul Promises that you together share. You may be asking at this point; “What is a Sacred Soul Promise?” These are agreements that we make before we are born with our animals and all the people that come into our lives as humans. When you partner with them and begin to learn about the lessons that they can teach you, your Sacred Soul Promises are revealed. Each time this happens your feminine intuition is powered up! What can be better than that? By learning new and exciting ways to become more powerful, more mindful and more intuitive through your relationship with animals is extraordinary! By learning how to accept and embrace the unconditional love that your animals have for you via a Sacred Soul Promise you can get the answers and all the help that you need. In fact, here are 7 very specific ways animals will work with you to power up your feminine intuition. Gain deep access and trust into your approach to life! Explore known relationships in your life that are based on Sacred Soul Promises! Change your life by learning how to power up your intuition! Learn how to make better decisions and trust your gut! Manage your stress and anxiety and have these emotions work for you rather than wear you down! Be more inline with your passions to be able to live your life to its fullest! Feel the boundless unconditional love that is available for you whenever you need it! As your animals will tell you it might take a little time to work these experiences out in your life. Yet, when you do you will find that your intuition is what drives you to the place of feeling calm, centered and alive. What could be better than that and why is this so important to learn how to find ways to power up your feminine intuition? There are so many reasons and much more than the 7 that I am sharing with you. Just know that an abundant, happy and centered life is available to everyone, including you! And that is not all…when you begin to trust your intuition you stop making the same wrong decisions over and over again, stop over criticize yourself, stop choosing terrible friends that wear you down and stop feeling hopeless, blocked and depressed! Even though these experiences are just part of being human they also offer the opportunity for you to look at these particular Sacred Soul Promises with a deep and soulful approach with your animals. It is at this pivotal place in your life that is really a wonderful to be. Because these experiences are awesome in that they can be considered a wake-up call for you to find your intuitive path. Your desire to be the best person you can through your feminine intuition is exactly what the animals in your life want you to do and they are going to support you in every way they can with your Sacred Soul Promises. So here is the thing, rather than having stress, anxiety, self-doubt and more rule your life. Ask your animals for help! They have the answers! They will reveal to you solutions to test and try that will change your relationship that you have with your Sacred Soul Promises! They will help you power up your feminine intuition with grace! Once this happens you can then begin to make that shift from fear, stress and over-abundant mind clutter to a place of peace and full brilliance in your life. You can make these challenges work for you in a positive way. Now… after knowing how and why animals help you to power up your feminine intuition doesn’t it all make sense? Aren’t you excited to find out what your animals know about you? Finding your intuition is important so that you can mindfully look at the challenges in your life as teachers instead of crazy roadblocks! Don’t wait…take the leap now so that you can reach your full potential, develop your intuition and live a happy and brilliant life! Your animals will be so happy! Writing Routine – Do You Have One?